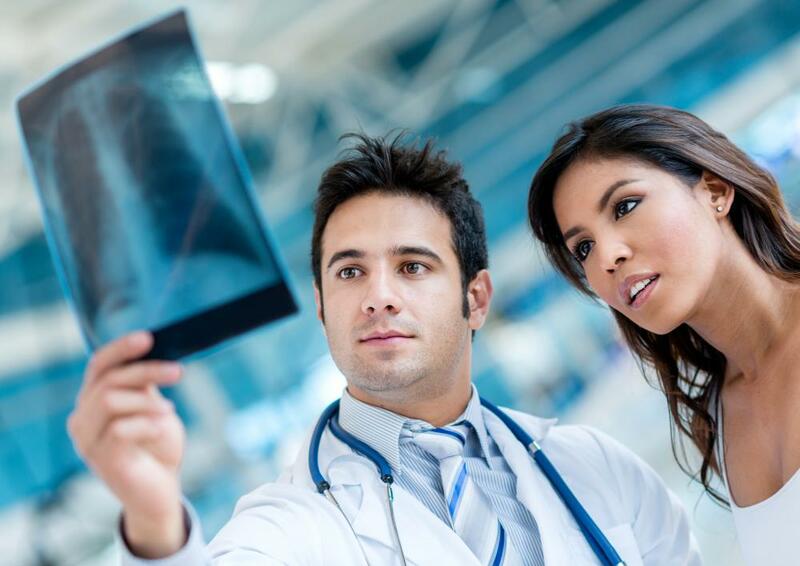 An X-ray will indicate whether or not a patient is improving from a pleural effusion. Left pleural effusion is a development of excessive fluid in the left side of the pleural cavity, the space surrounding the lungs. 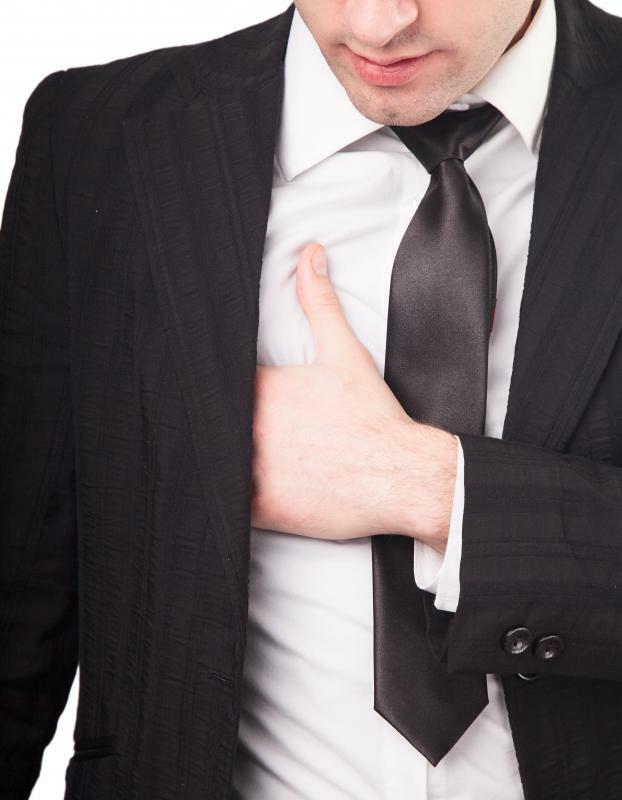 Individuals with a left pleural effusion often experience chest discomfort. 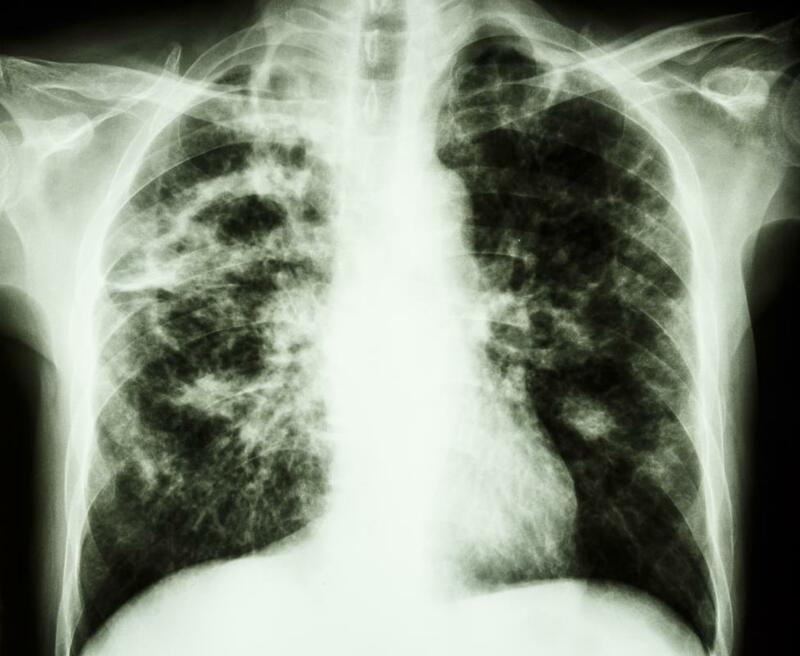 In the past, tuberculosis was a leading cause of pleural effusion. The treatment for any type of pleural effusion is mostly based on the underlying cause. 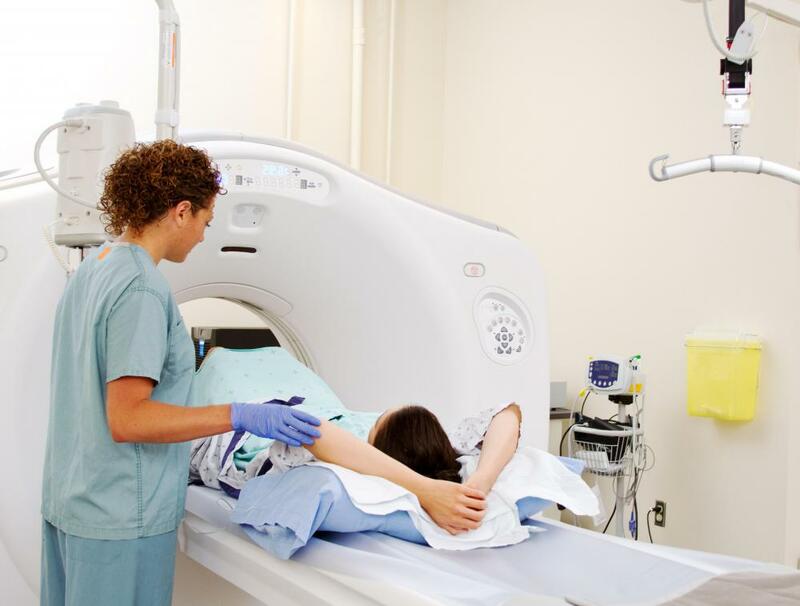 Medical imaging is often used to identify fluid around the lungs, then further testing is done to determine the cause. 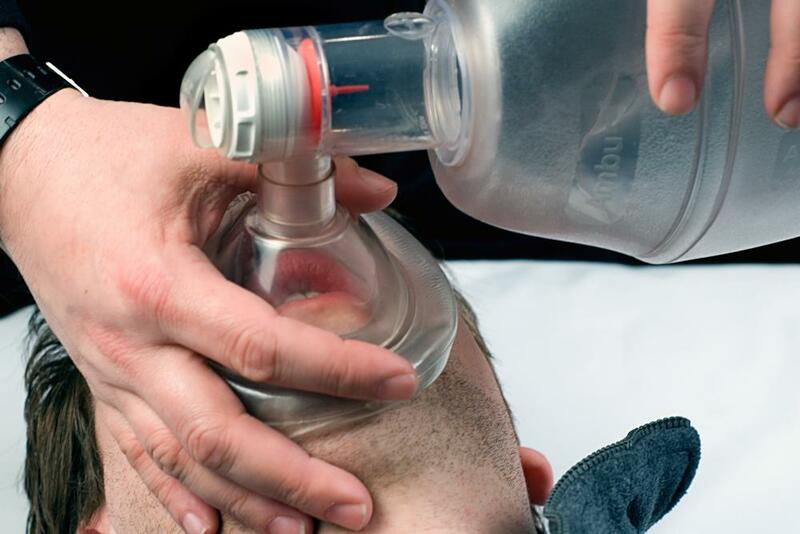 A bag valve mask can be used as emergency treatment for an individual who is suffering from left pleural effusion. Left pleural effusion is a development of excessive fluid in the left side of the pleural cavity, the space surrounding the lungs. It can be the result of a number of medical problems, and requires medical treatment. Patients may need to be hospitalized, depending on the cause, and will definitely need both treatment and follow-up care to make sure the conditions in the chest improve. In healthy individuals, the pleural space is naturally filled with a small amount of lubricating fluid. This space creates room for the lungs to expand and also prevents them from collapsing when people exhale. 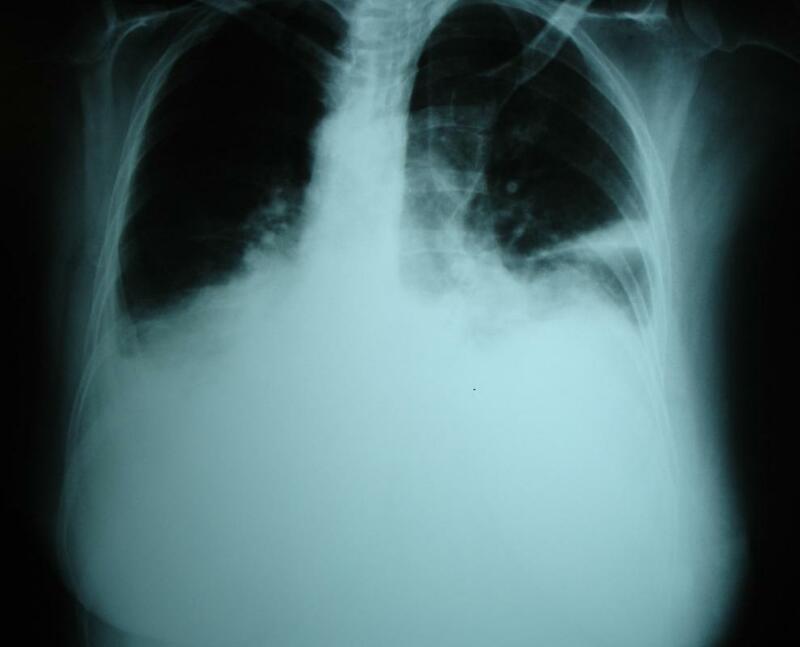 Individuals with left pleural effusion have more fluid than normal in the left side of this space. They tend to have trouble breathing and may develop symptoms like wheezing, cyanosis, and chest discomfort. Usually, sounds of crackling and rubbing can also be heard inside the chest. A variety of fluids can be involved in left pleural effusion, including blood, pus from infections, lymph, and serous fluids. The fluid buildup may be the result of a chronic condition like congestive heart failure and it can also be associated with acute infection, trauma, cancers, and respiratory diseases like tuberculosis. Sometimes, the onset is very rapid, while in other patients the fluid may build up slowly over time, putting increasing pressure on the lung and making it more and more difficult to breathe comfortably. Needles can be inserted to rapidly drain the pleural cavity. A doctor may also place drains or a drainage device to allow fluid to continue flowing out while the patient is being treated. These devices are designed to allow fluid to escape without permitting backflow of fluid or air, which could be dangerous for the patient. With left pleural effusion, the drain may be placed in a number of locations along the chest wall, and is intended to fit between the ribs. Part of treatment for left pleural effusion includes follow-up, which may involve testing of fluids drained from the pleural space to see when the fluid production goes down and to check for traces of malignant cells or infectious organisms. 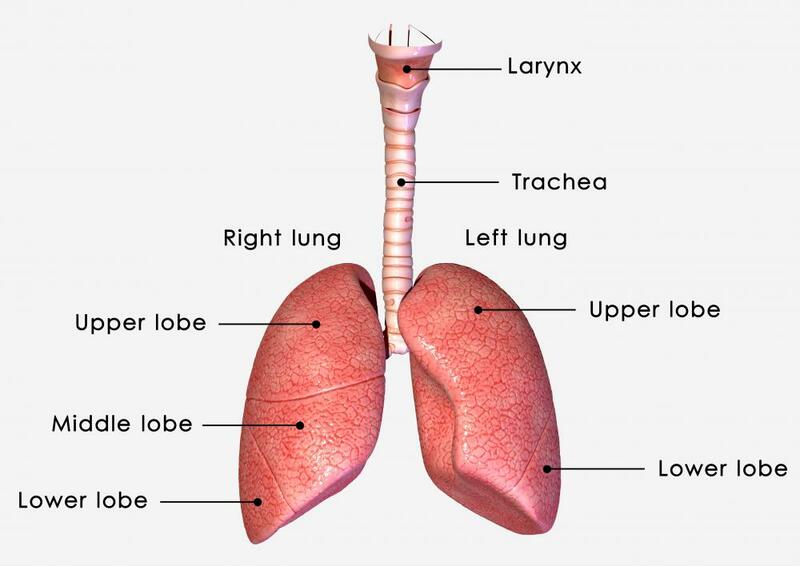 The patient's lungs will be listened to and medical imaging studies may be required to look for fluid around the lungs. A simple X-ray is often enough to see if a patient's case is improving. The underlying cause also needs to be addressed; a patient in congestive heart failure, for example, needs ongoing treatment to manage the condition and treat symptoms before they become more severe. @anon317174: Even my xray shows very small and my doctor also suspects TB while I don't have any symptoms and it was just incidental finding during regular health checkup. I also had pneumonia in childhood. I want to rule out all bad things. Please let me know what your results showed. In my X-rays, I have always showing pleural effusion on my left side, but what I read here is there are many complications but I have never had a problem. I don't know what it is, but my doctor always suspects TB and there are no symptoms of it at all. Could it be left from the pneumonia which I had in childhood?